I was telling a friend last night about the time I saw Herman's Hermits perform at a local fair a good ten years ago. "Who are Herman's Hermits?" she asked me. The short answer that I gave is that they were a British invasion band of the 1960s who tried to follow in the footsteps of the Beatles. The long answer, I realized, would make a perfect blog post. The name, Herman, came from a misunderstanding of the name Sherman of The Bullwinkle Show. 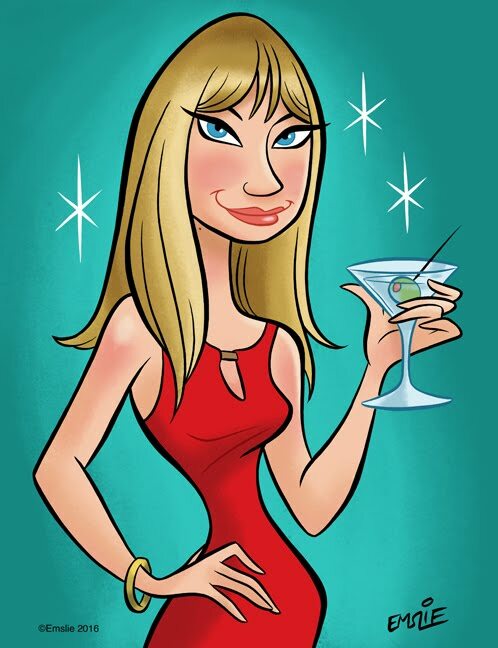 Peter bears an amazing resemblance to this cartoon character. 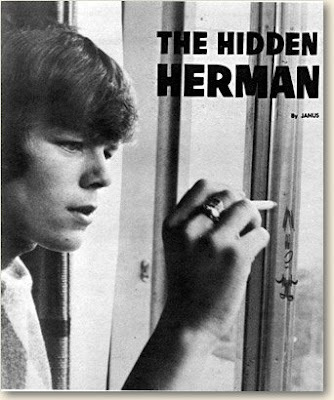 The name, Herman's Hermits comes from a sing-song rhyme addition based on Herman the Hermit. First, they were Herman and the Hermits; then Herman's Hermits. 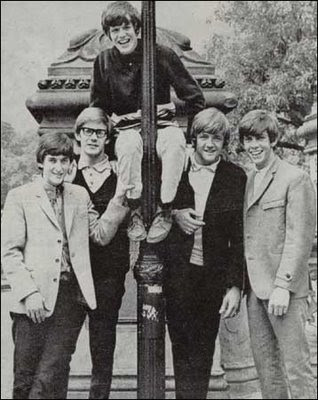 A British invasion band's resume would not be complete without a couple of movies and in fact, Herman's Hermits did star in a few films. One of them was the obviously named "Mrs. Brown You've Got a Lovely Daughter" (such a mouthful for a movie title, even if it was taken from one of their songs.) Noone himself had been a child actor, but it's safe to say the movie didn't stretch his talent. This 1968 flick, which will probably never see the light of day on DVD, has probably one of the best taglines in cinematic history: "You've got to sing...swing..and do your own thing...And no one does it better in merry young London than Herman's Hermits!" Needless to say, they really went to the dogs in this movie...as Mrs. Brown turns out to be a greyhound. Sadly, none of the band's hits were written by the group themselves, even though they were competent musicians in their own right. Their own songs were reserved for B-sides and album cuts. When the 60s faded away, so did Herman's Hermits eventually, but Noone is still active (and quite cute) today. This group has one of the best official sites of many pop bands of the 60s - it's just chock full of tons of photos and archived magazine articles. To play you out, here's a clip of the group performing "Mrs. Brown You've Got a Lovely Daughter." I think my Dad was a fan of them. 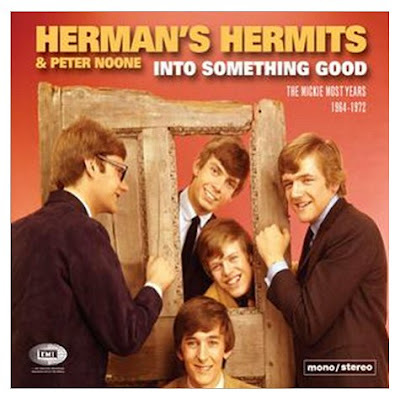 Gotta love Hermans Hermits - Peter Noon was quite a hunk back then wasn't he? My favourite songs of theirs are "MRs Brown you've got a lovely daughter" and "no milk today"
Hilary Swank as Amelia looks like Peter Noone. Maybe that's where the real Amelia disappeared to. People used to hear "She's A Must to Avoid" as "She's A Muscular Boy." Then there's "Can't You Hear My Heartbeat." What do you hear with? Your ears. Ear/heart. They were cluing us in way before the Beatles hinted that Paul was dead. Watch Dan Brown steal this idea.